I have never had eyes for the AR guns. Not so much the negative media hype, more the idea of blasting away a large number of rounds so quickly. That comes from being a handloader and enjoying single shot guns so much I guess. I finally shot a few, and like the feel of them. Then found out you can get different calibers that can be used for hunting big game, such as deer. Now I have some interest! I bought a stripped lower, and then waited for deals on the rest. Once I got them, I had bullseye69 assemble it for me. I waited for a good deal and found a complete upper assembly. I ordered a BCA 6.5 Grendel, 20" ss heavy barrel, with 15" handguard. She is a beauty! 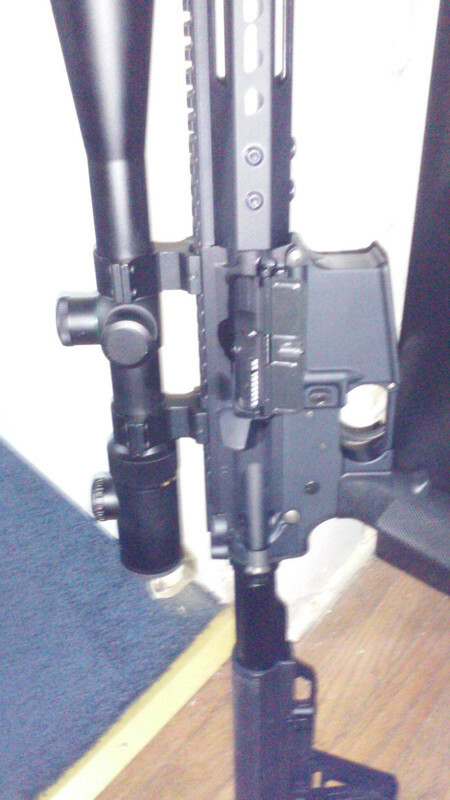 I mounted an extra scope I had laying around. Its a 6x24x50 Weaver Classic Extreme. Kind of over kill, but will make for easy sight in at longer ranges. 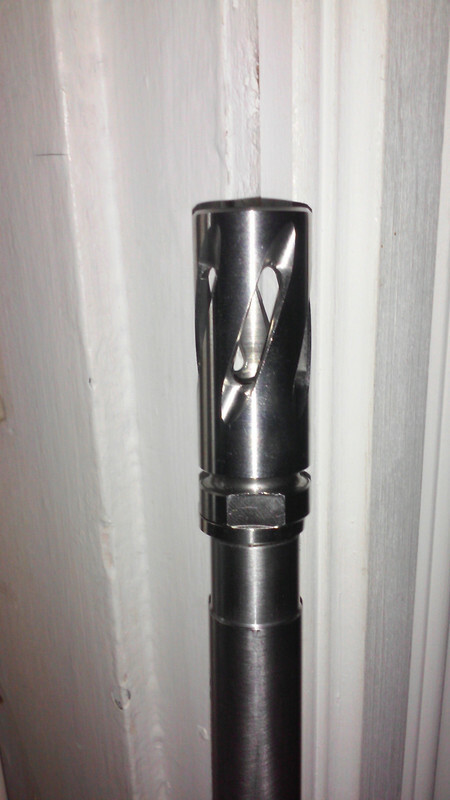 It has a pretty cool looking flash hider. Its spiral cut, and has a wide open concept. So it has no real benefit, but does look cool. Enjoy ........ You guys did a nice job. 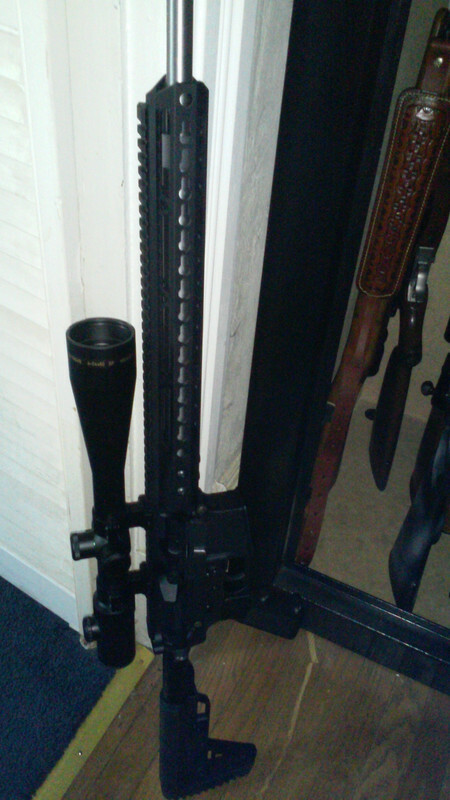 I have since added a piece of accessory rail, adapter for sling stud and bipod, and a brass catcher. I put a couple rounds downrange so far. Looks promising. A trigger job is next, then will get more time behind it once the weather stabilizes.